Hip-hop superstar Eminem has been open about his struggles with addiction, talking about it in his music, even naming a couple of his albums Relapse and Recovery. What you might not know is that one of his biggest addictions is to Taco Bell. In a First We Feast interview last week with rapper Tony Yayo (a rapper who has worked closely with Eminem), Yayo revealed that whenever he's with Eminem, even backstage of concerts, Em has a crazy amount of Taco Bell everywhere. "Every time we around Em and you backstage, there's, like, Taco Bell everywhere. 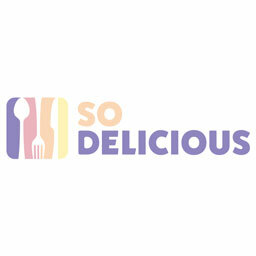 Shout out to Taco Bell, but sometimes you want something a little different." The fact that Yayo has this kind of grievance shows that it's not just a little habit. Eminem probably has Taco Bell on every corner. There was evidence of his Taco Bell problem in the past. Although it was continuously denied in 2008, there were rumors of Eminem having a weight issue when he reportedly would only leave his house to go to Taco Bell and Outback Steakhouse. Eminem later confirmed through Rolling Stone that after the death of his close friend DeShaun "Proof" Holton, his weight had gone up to 230 pounds and he was constantly going to Taco Bell and McDonald's. "I was going to McDonald's and Taco Bell every day. The kids behind the counter knew me – it wouldn't even faze them." We get you, Em. There's no greater joy than coupling a Cheesy Gordita Crunch with Mountain Dew Baja Blast. 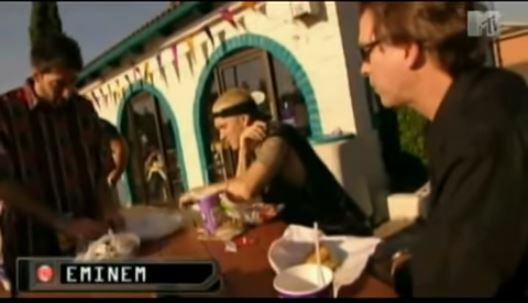 In case you needed visual evidence, here's a clip of Eminem eating Taco Bell in a 2000 MTV interview. In the video, Eminem violently shows he can't hang with the hot sauce and can only do mild.